Hey Readers, are you desperately searching for the NHM Punjab Vacancy 2018? So, we have extremely exciting news for those contenders who want to build their career bright in the government job in National Health Mission, Punjab. Here, in this post we are going describe all the details regarding to the NHM Punjab Staff Nurse Recruitment 2018 in the below segment of the post. This is the golden chance for those pretenders who want to do a job in National Health Mission, Punjab then they must have a look in this article and take all the relevant details from here & then pretenders may apply online for NHM Punjab Notification 2018 from the official website of National Health Mission, Punjab that is www.pbnrhm.org. For latest updates, Individuals may bookmark our careerjobs360 official website & stay connected with us for further reference. The National Health Mission, Punjab has circulated the job Notification for NHM Punjab vacancy Notification 2018 to hire the eligible & efficient aspirants for filling up 943 no. of Ayurveda Medical Officer, ANM, Staff Nurse, Pharmacists and Laboratory Technician, Epidemiologists & Microbiologists Vacancies in the department. Job Seekers, who want to do a newest Government Job in National Health Mission, Punjab then they don’t miss this ravishing opportunity & may apply for this NHM Punjab Pharmacists Recruitment 2018 from the official website of NHM Punjab. Interested and skilled individuals may fill the online Application Form and submit it latest by 23rd June 2018. Moreover, information regarding the NHM Punjab Staff Nurse Jobs 2018 such as age criteria, academic qualification, application fee, selection criteria, & How to apply etc are mentioned below in the article. All the aspirants kindly go through it. The National Health Mission, Punjab has invited the application form from the eligible and deserving aspirants to fill online NHM Punjab Staff Nurse Female Application Form 2018 from the official portal of the National Health Mission, Punjab department for. Contenders can check all the information from here & may apply online for the Recruitment on or before the deadline date. Academic Qualification: Interested candidates must have completed 12th, ANM, GNM Diploma in Multipurpose Health, Graduation Degree, B.Sc in MLT, Pharmacy from any recognized University/Institution. For more details candidates can visit the official notification of the NHM Punjab MO Recruitment 2018. The Minimum age limit of the applicants is 18 years. The Maximum age limit of the applicants is 37 Years. Upper Age relaxation is applicable for the reserved category according to the govt. rules &regulations. Application Charges: Please check the official notification for an application fee. Selection Procedure: Selection of the aspirants will be completed on the basis of their performance in the written examination & Personal Interview which is going to be conducted by National Health Mission, Punjab. How to Apply Online For NHM Punjab Staff Nurse Recruitment 2018? 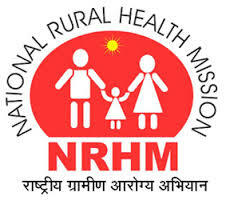 Firstly, willing aspirants must have to access the official web portal of National Health Mission, Punjab that is pbnrhm.org. After that hit the relevant link of the official notification and open it in the next web page. Then, you must read all the relevant instruction from the official notification for eligibility conditions very carefully before applying for the recruitment. Paste the passport size photograph & signature on the registration form. Take the print out of the application form and keep it safe for further use.